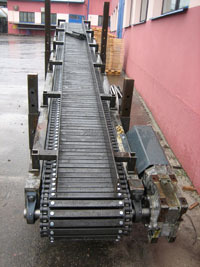 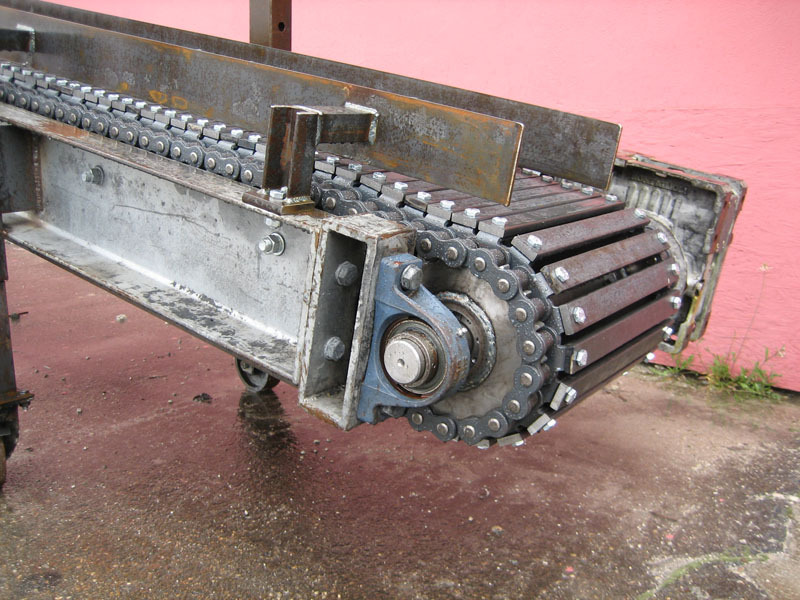 Chain conveyors transport the material with help of chains. 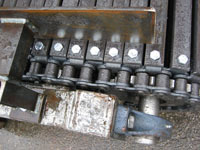 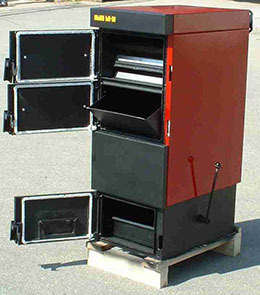 They are used in such cases, where the transported material should mechanically, or thermally, for example, damage the rubber belt. 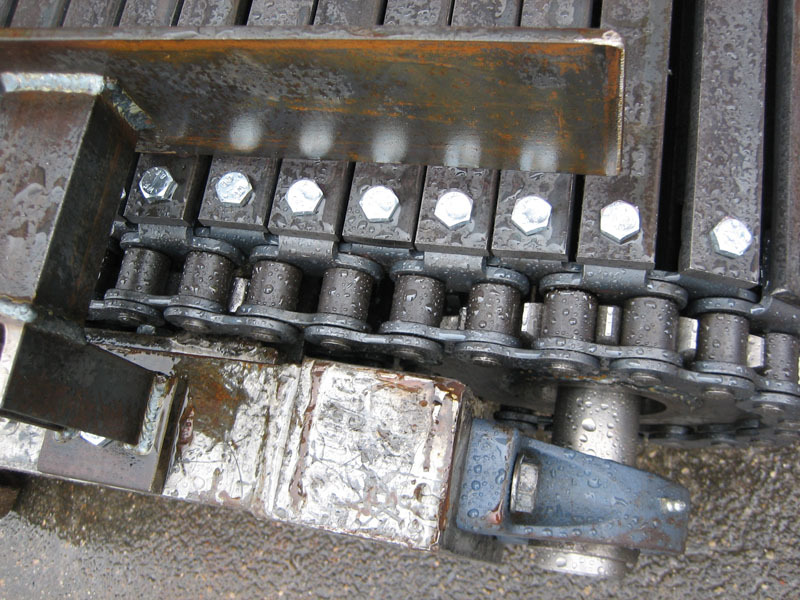 The material lies straight on the driven chains, or is transported with help of carriers attached to the chains. 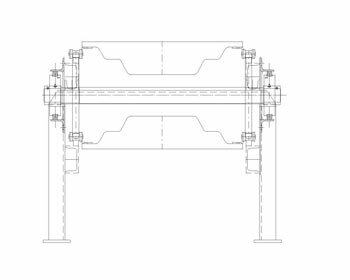 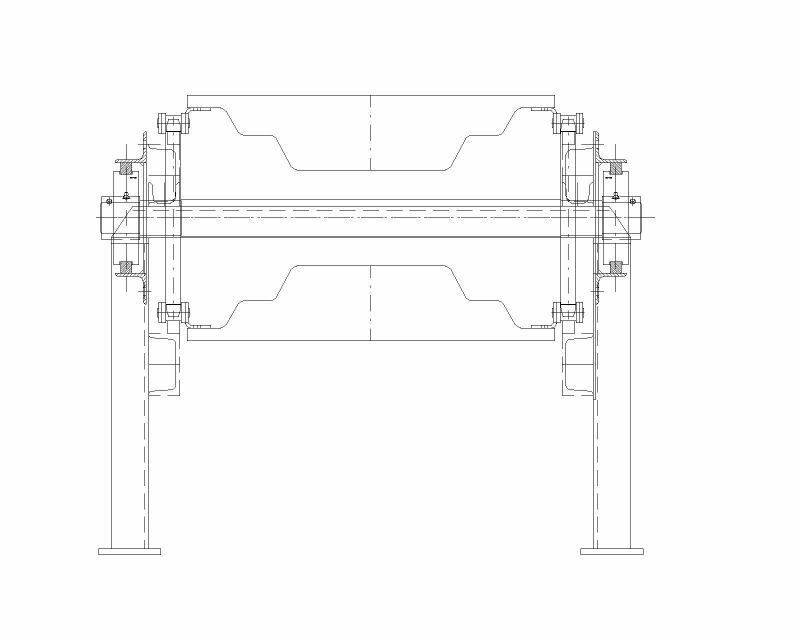 Realized example: To the chains there are attached the steel casting moulds and to these moulds the fluid metal is castled. In such case, the conveyor serves concurrently as a cooling device and on its end, there fall out the mouldings (see the fig.). The production of chain conveyors is always realized according to the specific requirements of customers.